Whether you want to know what jersey color the team wore in a particular game or what piece of equipment a player used during a particular season, you've found the world's foremost authority and most complete reference library available in the hobby. Providing detailed Letters of Authenticity for your game worn Pittsburgh Penguins equipment as well as photo and video-matching services from an unparalleled reference library spanning thousands of images and hours of game footage. 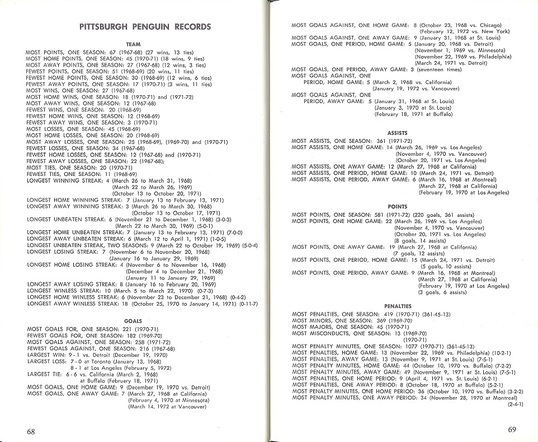 PenguinsChronicles.com has authenticated some of the most significant game used items in the history of the National Hockey League and Pittsburgh Penguins franchise. 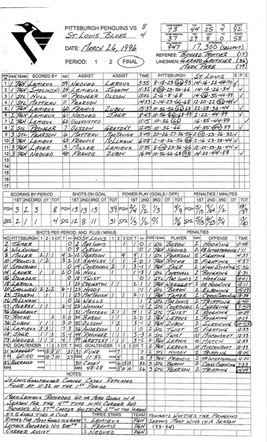 Providing detailed statistical information from official scoresheets for every regular season and Stanley Cup Playoff game in Penguins history as well as pre-season information​. Enhance your game used memorabilia by finding out exactly what the player did while wearing your equipment. Just because your jersey from 1991-92 doesn't come with Gleason Tracking, doesn't mean you can't find out what significant goals, fights, and other neat things the player accomplished while using your memorabilia. 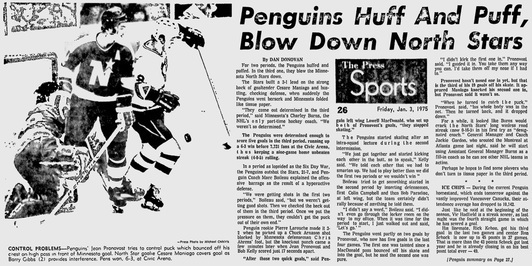 Providing transactional, anecdotal, and other information from the history of the Penguins franchise including minor league call-ups, Captain and Alternate Captain information and other interesting tidbits from the team's history. 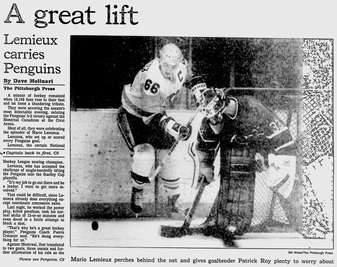 PenguinsChronicles.com has a massive digital newspaper archive from the Pittsburgh Post-Gazette, Pittsburgh Press, Beaver County Times, Observer-Reporter and Montreal Gazette and a massive archive of The Hockey News.